In het laatste nummer van haar huismagazine Universiteit Antwerpen (2013, № 7, pp. 18-19) profileert de Universiteit Antwerpen zich op BRIC-land Rusland. Het doet de vakgroep Russisch van de integrerende Vertalers & Tolken van de Artesis Hogeschool oprecht plezier dat de Universiteit Antwerpen Rusland in dat stuk erkent als ‘economische wereldmacht’ en als ‘groeiregio’. 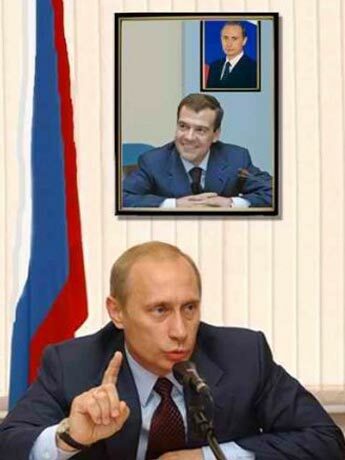 Tegelijkertijd willen we onze spijt betuigen dat deze woordelijke erkenning gepaard gaat met de feitelijke afschaffing van de vakgroep Russisch (die is sinds dit academiejaar uitdovend). Als gevolg daarvan kan de Associatie Universiteit & Hogescholen Antwerpen geen Russisch taalonderricht op universitair niveau aanbieden aan haar studenten. Andere Vlaamse universitaire associaties zetten wel ten volle in op de studie van het Russisch, zowel in de vertaler- en tolkopleidingen als in de taal- en regiostudies. Kennelijk oordelen zij dat dit onderricht geen overbodige luxe vormt om pedagogische, wetenschappelijke en economische samenwerking met Rusland in de hand te werken. 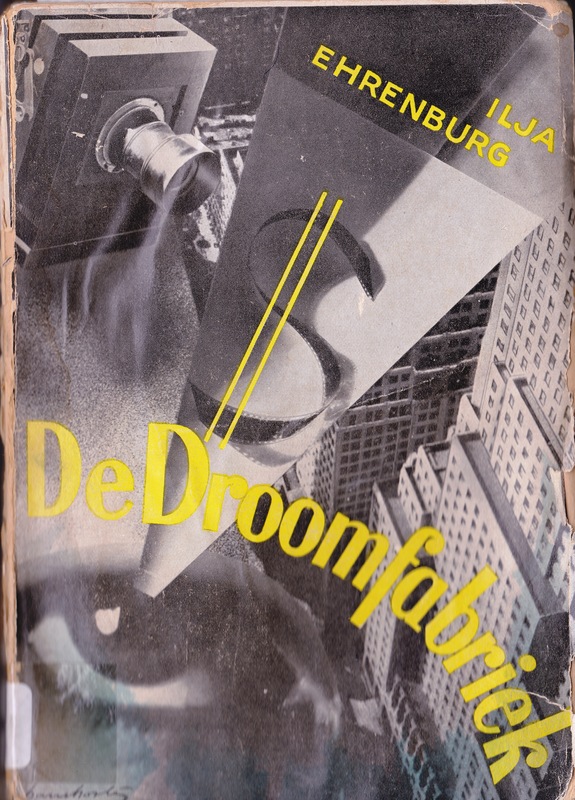 The jacket flap of the Dutch translation De Droomfabriek, stocked in the KU Leuven Central Library. Ilya Ehrenburg (1891-1967) is an exponent of Russia’s 1920s avant-garde culture. Although he initially raised objections against the bolshevist putsch, his approach toward the Soviet authorities changed in the course of the interwar. He became what Trotsky called “a fellow-traveler” (“попутчик”): a writer who himself was not a member of the Communist Party, but who outwardly sympathized with the October Revolution. For this very reason, he is remembered today as “an arch-opportunist”. Being a fellow-traveler, Ehrenburg was allowed to move freely in foreign countries. On the one hand he acted there as an unofficial cultural ambassador of the Soviet Union. On the other, enjoying his liberty in the West, he produced a large quantity of narrative and journalistic texts designed for the Russian market. During the Great Depression he published a series of novels dealing with capitalist production mechanisms under the umbrella name Chronicle of our days (Хроника наших дней), which includes The Dream Factory (Фабрика снов). The Dream Factory presents itself as a well-documented report, bombarding the reader with unverifiable figures, but it is in fact a fictionalized pamphlet against the Hollywood film industry. The more specific subject is the bliz-career of Adolph Zuckor (1873-1976), who as a Hungarian-Jewish immigrant in America in the first decades of the twentieth century founded the movie studios Paramount Pictures Corporation. As usual for Russian literature, before appearing in book form, The Dream Factory was published in a literary journal: in 1931 it was spread over three different issues of Krasnaja nov’ (Red Virgin Soil) – a journal which had been founded under Lenin to give voice to different literary debates, but which from 1927 progressively became the tribune of the Party. This evolution was actively promoted by the Culture and Propaganda Department of the Communist Party’s Central Committee KUL’TPROP, which in response to the publication of The Dream Factory accused the journal of failing in its literary duty by giving the floor to “right-wing-opportunistic or neo-bourgeois authors” (“правооппортунистических и необуржуазных авторов”) such as Ehrenburg. Apparently, the strong anti-capitalist tone, going hand in hand with black-and-with psychology, did not suffice to make The Dream Factory an acceptable book from a socialist-realistic point of view. It is thus not surprising that the original text was published in book form in Berlin by the publishing house Petropolis, which specialized in narrative that could not be released in the Soviet Union. Interestingly, the West did pay attention to The Dream Factory. Shortly after its publication in Berlin, a Dutch translation was published in Utrecht and Antwerp, respectively by De Haan and De Magneet. It is far from excluded that this confirmed Ehrenburg’s reputation – bestowed upon him by the specialist of Russian Literature Leonid Strakhovsky, who at that time was affiliated with the university of Louvain – as “an author […] who has managed to combine Voltarian skepticism with a Paul de Kock-like triviality”. Langeveld, Arthur & Weststeijn, Willem G. 2005. Moderne Rusissche literatuur van Poesjkin tot heden. Amsterdam: Pegasus. p. 282. Translation from Dutch: “Natuurlijk, de menschen willen graag lekker eten en zich goed kleeden. Maar de menschen zijn geen dieren. Ik kan dat verzekeren als Hongaar en als jood, als artist en als filosoof. De menschen willen ook eens ergens over dromen, ergens hun gedachten of gevoelens mee bezig houden. […] Kijk toch naar de menschen – zij verlangen illusies. Daar kun je op een ongehoorde wijze aan verdienen…” Ehrenburg, Ilja. z.j. De Droomfabriek. Utrecht: W. De Haan. Vertaling uit het Russisch van J.C. van Wageningen. pp. 9-10. Zalambani, Maria. 2011. “Literary policies and institutions”. Dobrenko, Evgeny & Balina, Marina (ed.). The Cambridge Companion to Twentieth-Century Russian Literature. Cambridge: University Press. pp. 153-174. p. 256. Translation from French : « un auteur […] qui a su joindre un scepticisme voltairien à la banalité d’un Paul de Kock ». Strakhovsky, Léonid. 1927. “Notes sur la littérature russe contemporaine”. In La Nervie. Revue mensuelle d’arts et de lettres. IV. pp. 29-32.